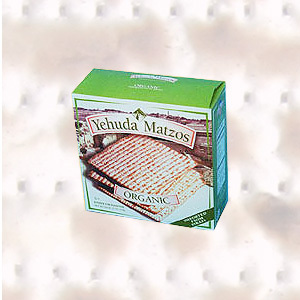 Yehuda Organic Matzos - Box, containing one cellophane package of 454g (1 lb.) 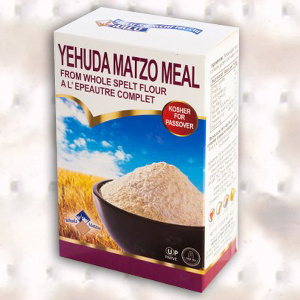 or 300g (10.5oz.) 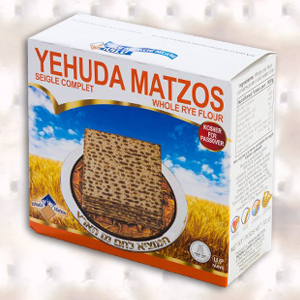 fresh matzos made of fine organic whole-wheat flour, NOP certified, and water only. 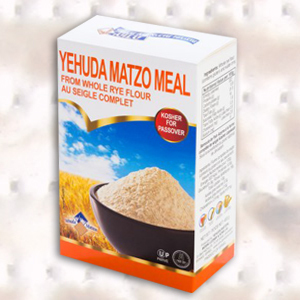 The boxes are packaged in a 30 or a 12-unit carton. 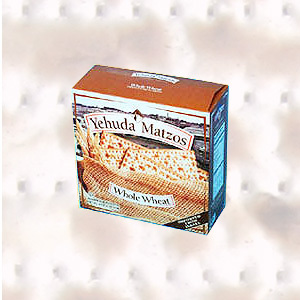 Yehuda Whole Wheat Matzos - Box, containing one cellophane package of 300g (10.5oz) fresh matzos made of fine whole-wheat flour and water only. 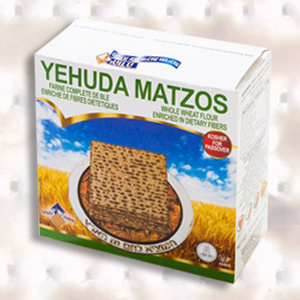 The boxes are packaged in a 24-unit carton. 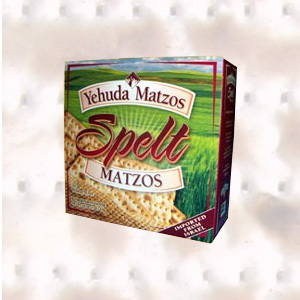 Box, containing one cellophane package of 454g (1 lb.) 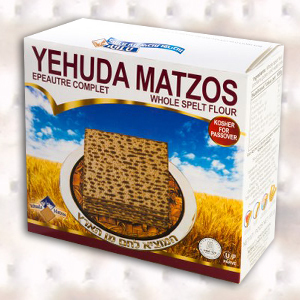 fresh matzos made of fine spelt flour and water only. 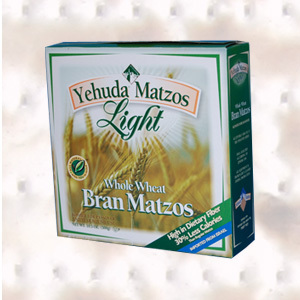 The boxes are packaged in a 30-unit carton. 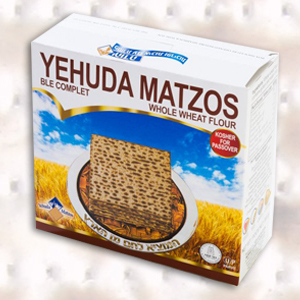 Yehuda Whole Wheat Matzos - Box, containing one cellophane package of 300g fresh matzos made of fine whole-wheat flour and water only. The boxes are packaged in a 24-unit carton. 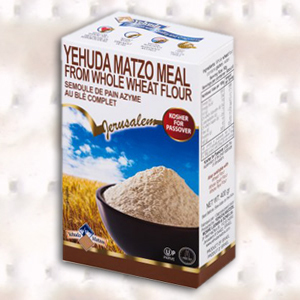 Yehuda Whole Wheat Matzos Enriched in Dietary Fibers - Box, containing one cellophane package of 300g fresh matzos made of fine whole-wheat flour enriched in dietary fibers and water only. The boxes are packaged in a 24-unit carton.